City services and amenities in a beautiful country setting! This one acre ravine lot surrounded by towering mature evergreen trees is very private and secure with is own gated entrance. A well-established two storey home has been constructed like a fortress to last a life time. 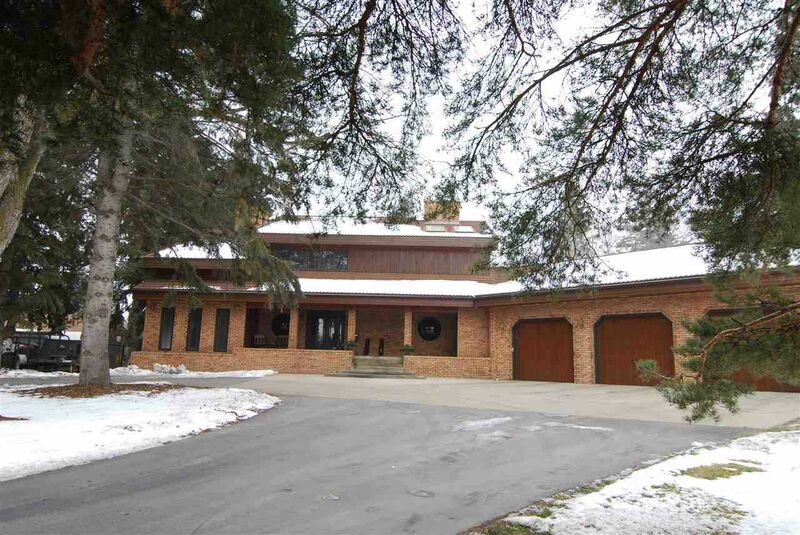 There is a fully developed lower level with spa area and a huge over-sized triple attached garage. The unique floor plan is ideal for entertaining with formal living room, separate dining room, huge island gourmet kitchen, cozy family room, upper library loft and huge recreation room on lower level. So many quality features from hardwood & tiled flooring throughout, 4+1 spacious bedrooms, 3 ½ baths, 5 fireplaces, numerous skylights, hot tub/ sauna area and tons of rich oak woodwork. The huge deck with the sixth brick fireplace adds to the already peaceful outdoor living. A rare find in the city limits!